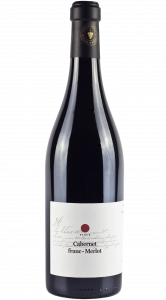 The grapes grew on the lower half hectare of the Cabernet Franc plantation are blended with the selected Merlot of Tihany. The result is this forest red-fruity, silky, easy-drinking cuvée. It usually comes tot he market after a year.